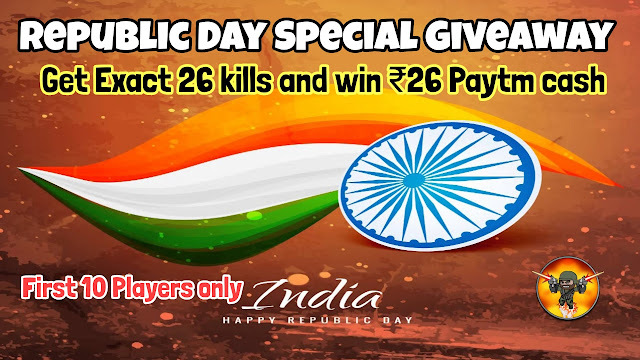 Rs 26 Paytm Cash will be given to those player who gets exact 26 kills. Everyone will be booted after each game so that others get chance. Players who have commented their avatar name only will be allowed to enter room. Room info will be given in WhatsApp Group.